Realme recently launched the new upgraded variants of its budget offering Realme C1 in India with 2019 suffix. The latest variant comes with 32GB storage as standard and unto 3GB RAM, with other specs remaining the same. 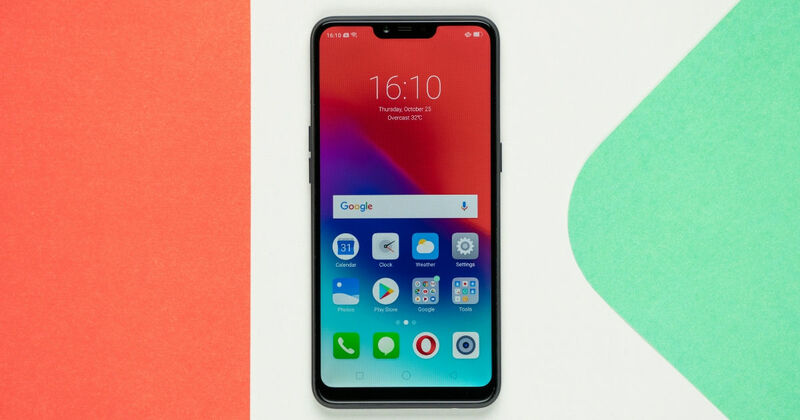 The smartphone went on sale in India on February 5th via both Flipkart and Realme’s official website. Now, the smartphone is available through open sale on Flipkart. The Realme C1 (2019) has been priced at Rs 7,499 for the base 2GB + 32GB model and Rs 8,499 for the 3GB + 32GB model in India. As mentioned before, the phone can now be picked up anytime from Flipkart. Realme is offering the handset in two hues – Deep Black and Ocean Blue. Realme India’s CEO, Madhav Sheth, took to Twitter to announce the commencement of the open sale in the country. As mentioned before, apart from the onboard storage, the specifications of the upgraded model is the same as the Realme C1 launched last year. The smartphone ships with a 6.2-inch notch-toting display with a screen resolution of 720 x 1,440 pixels. Ticking at its core is the Qualcomm’s Snapdragon 450 octa-core processor, which is accompanied by either 2GB or 3GB of RAM depending on the variant. In the software department, the handset boots Android Oreo-based ColorOS out of the box. For security, the Realme C1 (2019) relies on an AI-backed face unlock feature as the fingerprint scanner is missing. Coming to the cameras, the Realme C1 (2019) comes with a 13-megapixel primary sensor backed by a 2-megapixel secondary depth sensor on the rear panel. For selfies and video calling, the handset offers a 5-megapixel shooter on the front. A beefy 4,230mAh battery completes the spec sheet of the handset.